Booster Draft, every Sunday @ 1:00 p.m., $13.00 buy-in. Standard Showdown every Sunday the MONTH of March @ 4:00 p.m., $5.00 buy-in. Monday @ 4:00 p.m. - 8:00 p.m.
Tuesday @ 4:00 p.m. - 8:00 p.m.
Wednesday @ 4:00 p.m. - 8:00 p.m.
Thursday @ 4:00 p.m. - 8:00 p.m.
Friday @ 4:00 p.m. - 11:00 p.m.
Saturday @ 2:00 p.m. - 8:00 p.m.
We are happy to announce, that we will be get the newest Comic Books! So if you want to subscribe to any titles you are collecting, we have a pull list available for you to get your weekly Comic Books with the hottest and newest Titles and anything else you might find of interest to you! 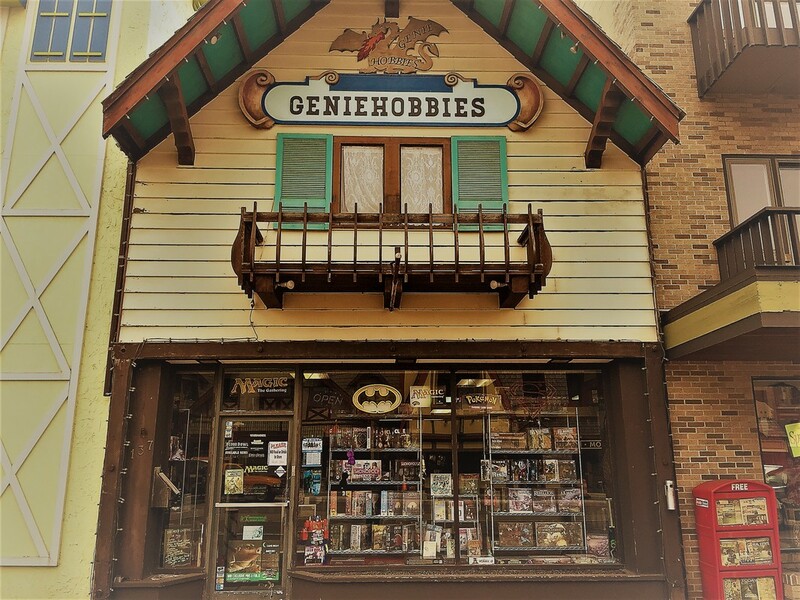 Geniehobbies carries Comics, Pokémon, Yu-Gi-Oh, D&D, Pathfinder, Hero Clix, Warhammer, Lord of the Rings, WWII War-gaming products, Flames of War, many Board Games, Miniatures, DVD Movies, MtG & much more! Check the new arrivals page for the latest and greatest items! Monday thru Thursday: 11:00 a.m. - 8:00 p.m.
We Buy, Sell & Trade Comic Books, Cards & Games! Check our Calendar for Gaming Events! Come and visit if you dare!